Jane was born in Barnsley in 1969. As a child, drawing and painting always held a special interest for her. 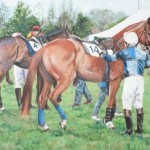 She constantly drew horses and ponies – being utterly horse obsessed as a child and unfortunately allergic to them also, which only seemed to fuel this obsession! After 6th form, she decided to pursue her interest in painting further, studying fine art at Newcastle University. 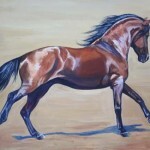 She graduated in 1992 and was one of 9 UK finalists to have their work chosen for exhibition in New York, USA. 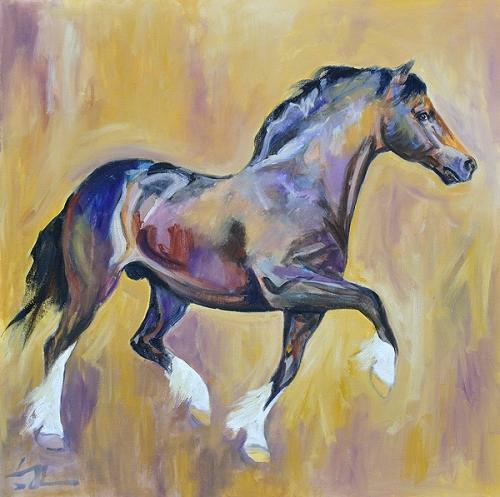 After University, Jane decided to concentrate on animal portraiture, enjoying painting not only pets, but also all forms of portraiture and landscape, equestrian themes being her speciality. 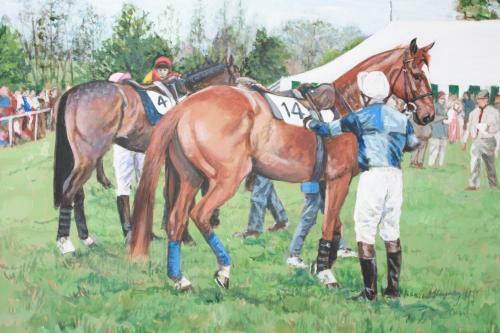 Jane not only paints horses, she is an art teacher and also judges at horse shows and competes on her homebred mare in dressage and Riding Club events. 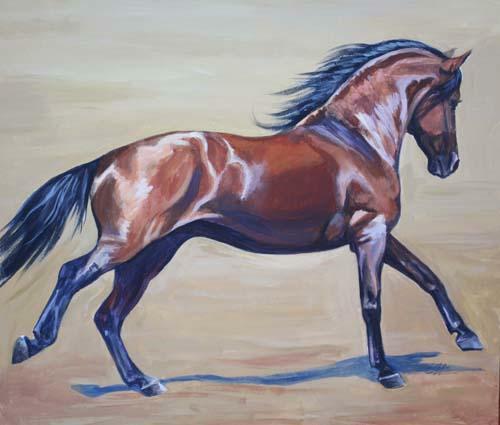 She is familiar with a horses conformation and action which enables her paintings not only to convey a true likeness, but to also capture movement, and the animals individual character and presence. 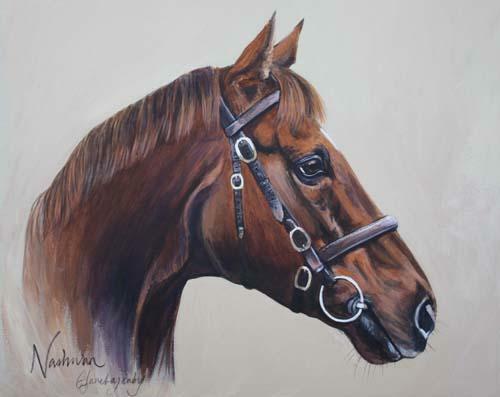 Jane’s work is much in demand; she has work in private collections throughout the UK and in the USA, Austria, New Zealand, Australia, Dubai and Germany, and exhibits her work in London with The Society of Equestrian Artists (she is an ‘Associate’ member).